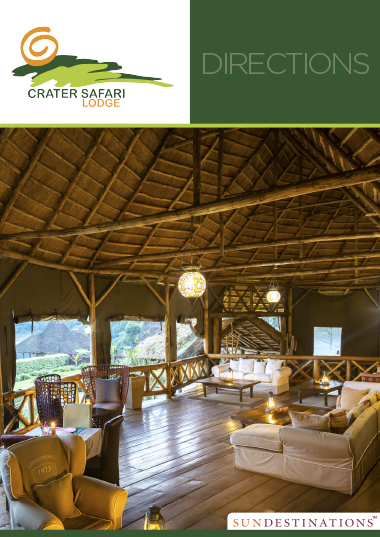 The closest “big” town to Crater Safari Lodge is Fort Portal, which is 22 km away. 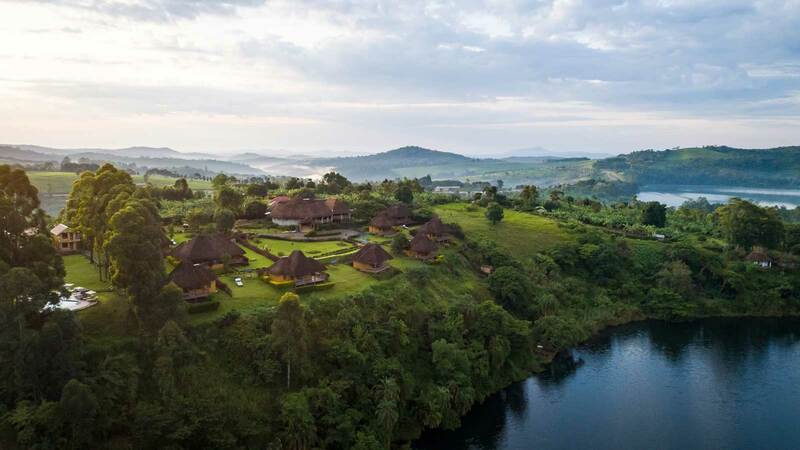 The lodge overlooks the secodn largest crater lake in Uganda, and is located high-up on a hill. 7 km away is the famous Kibale National Park, famed for its chimp trekking activities. 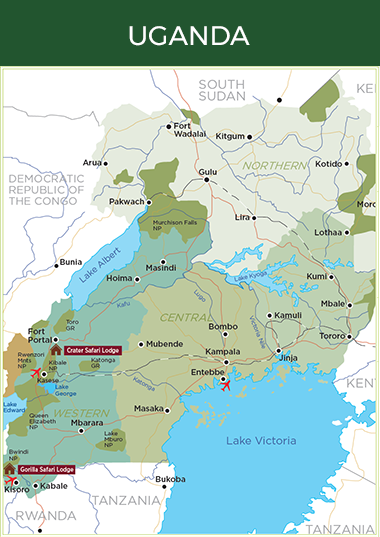 The closest airport, and most accessible airport, is Kasese. This airport is 2 - 3 hours from the lodge, and a road transfer can be arranged.